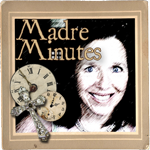 Madre Minutes: The Blog is Up.......and It's Good! The Blog is Up.......and It's Good! This past week I have been working with someone I have never met. Someone who only got to know me through my pictures. And who somehow was able to get inside my head and know what I was wanting to express on my blog. That is a gift and finding her through social media truly was a gift because the result of the gift is evident in the appearance of my blog. I am very please with what she was able to accomplish in such a short amount of time. She worked hard explaining to me the processes and held my hand all the way to the end. I was truly blessed and excited to see what she came up with. I must have sent her 100 pictures to look at. She was very gracious, patient and kind. And together we got it done. I hope you enjoy it. I have done away with my website and am consolidating everything here on my blog. You can now even purchase my wares here through pay pal. 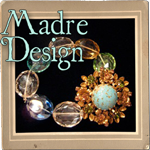 I am so excited about being able to offer you these select designs of my jewelry on Madre Designs, and my specialty purses on Hattie Bags. I will mix in some of my repurposed antique finds that I turn into functional art pieces. I hope you will spend some time and look around and enjoy your self while you are here. 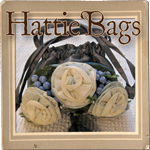 Please sign up for both Hattie Bags and Madre Designs pages as followers, so that when I update those pages you will be the first to know when I have created something new. Thanks for visiting, tell your friends and let me know what you think. I appreciate your business, compliments and comments.